Felid biologist Phillip Henschel’s paper was just published after conducting six years of thorough presence and absence surveys of Lions in West Africa. The results are bleak. West African Lions are only found in five countries with a total population of less then 5oo individuals. More specifically of those 500, less than 250 mature individuals exist. This would categorize them as critically endangered if they were considered their own species. 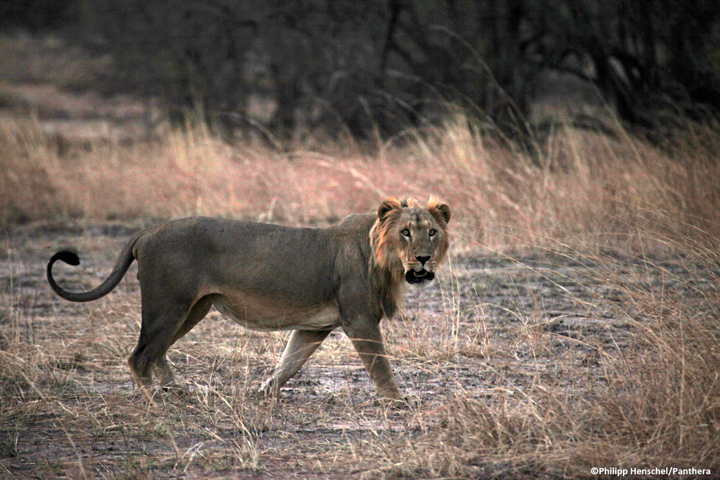 Before the study took place, 21 protected areas within western Africa were said to have lions. Once Phil showed up, he realized most of these areas were paper parks. This means a park on the map, with no infrastructure or on the ground staff. The presence surveys of these fake parks showed they were devoid of lions. In fact, he only found signs of their presence in one area in Senegal, two areas in Nigeria, and in a larger protected spanning Benin, Burkina Faso, and Niger. Having less than 20 mature lions in three out of the four areas does not bode well for those populations to survive in the long term. Moreover, these areas are not anywhere near each other which prevents possible movement from one population to another. It was recently determined through DNA studies that West African Lions are very different from their East and South African cousins. They are far more related to the extinct Barbary Lion, that occupied northern Africa, and the Asiatic Lions holding on in India. This study at least provides the conclusive evidence of their dire situation. 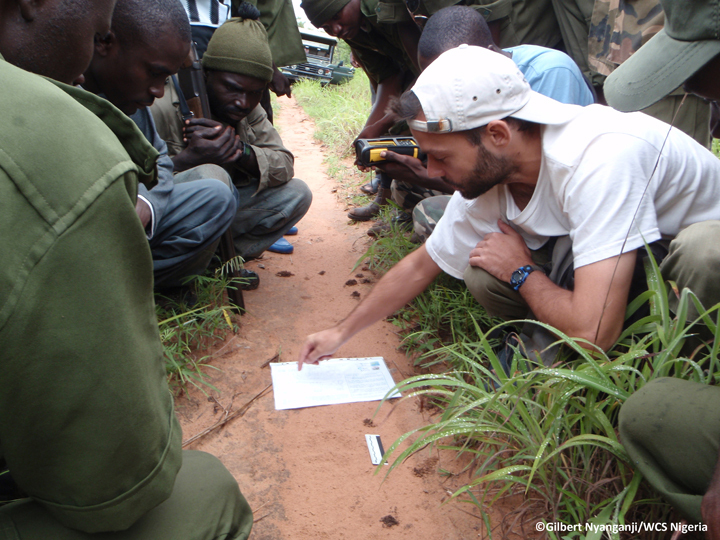 Fro here, conservationist can make informed decisions on the next steps. The greatest need is providing protection for the remaining animals. The West African Lion only has a chance if governments receive financial aid to increase enforcements within the park. And by increasing the infrastructure in the parks. 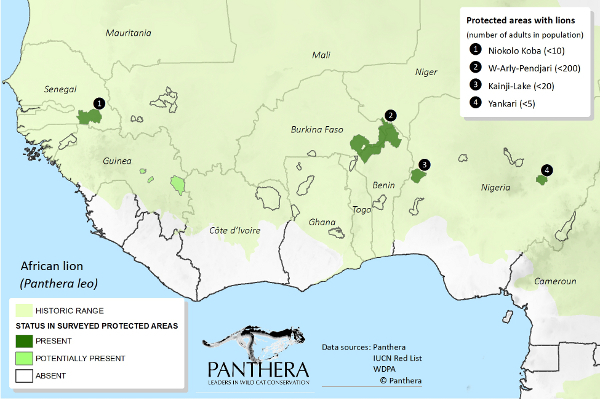 The cat conservation organization Panthera is leading that charge. You can donate to them here. If you would to to read the full scientific paper, click here here.